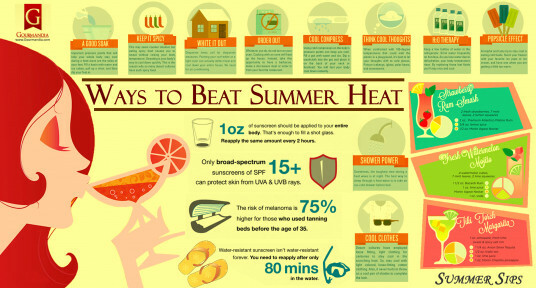 Summer Is Officially On: Are You Prepared? I feel a heat stroke coming on. Bad. My body has always been resilient to Philippine weather, especially during the summer. As a matter of fact, I would usually say to friends, I prefer the heat than the cold and rain. Lately, I have been eating my words. I am unable to work due to this heat. I seriously cannot function. Just today, I closed my laptop, brought down the curtains and hoped that I pass out. I kid you not! I wanted to pass out just so I be rid of my misery. Funny huh? Well, anyway, heat stroke is common given the present circumstances. But are we prepared for it? Mind if I check in your purse? Did I forget anything? Feel free to add your suggestions in the comments section. Thanks to RoranStronghammer for the fantastic infographics.